Need an after school snack, a last minute hors d'oeurve, or just looking to jazz up a salad or a bowl of ice cream? 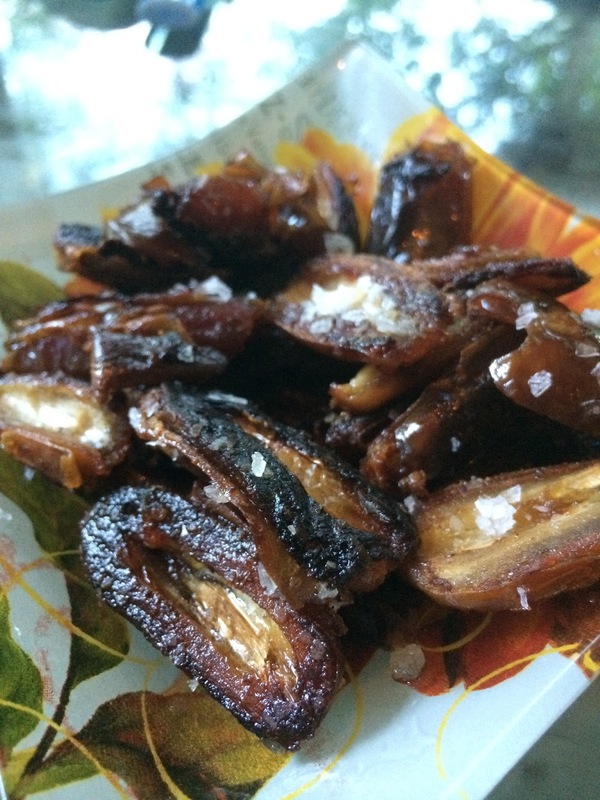 Then you need to try these dates, they’re incredible…and so simple too. Until I made these I couldn’t imagine eating a date in anything but trail mix or a bad fruit cake, but a container of pitted dates is now a staple in our pantry. Halve dates length wise while you heat a little bit of extra virgin olive oil over medium heat with an optional pinch or two of cayenne pepper. Add the dates to the hot oil making sure not to overcrowd, you want each date to have contact with the bottom of the pan. And don’t look away for too long as they do burn easily, but they won’t take more than a few minutes. Stir occasionally to caramelize both sides then serve warm with flakey or coarse salt.